The parking brake, also known as the emergency brake or e-brake, is a subtle, yet essential part of your vehicle’s mechanics. 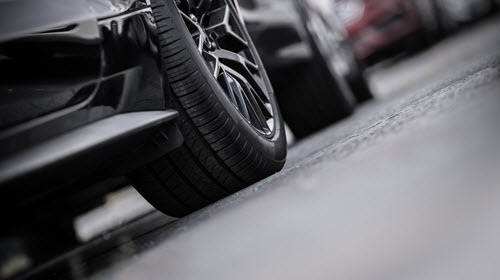 When drivers need that extra stability to park on a hill, tugging on the parking brake may be the difference between secure parking and a downward slide. Individuals who drive manual cars may use their parking brakes frequently, even whilst driving. The various uses and frequency of the parking or emergency brakes vary from person to vehicle. However, despite the variances, a broken parking brake is not something to take lightly. In fact, driving with a faulty e-brake for an extended period of time can cause undue damage to your transmission. A parking brake is that extra cushion your car needs to stay in place. When you put your car in a standard park, there is a metal pin called the parking pawl that inserts itself into a circular device stuck to the transmission. When your car is in park, your transmission is no longer able to move or turn. However, over time, the parking pawl can malfunction; thus making it easier for your car to continue moving even while in park. The emergency, or parking brake,was designed as an extra precautionary tool to make sure your car stays in park. What Does a Failed Parking Brake Mean? During the cold, winter months, inclimate weather can cause your e-brake to freeze. This is partly due to its exposure to the snow, ice, or water. Although a jammed parking brake may cause you to panic, often times a quick warm up to your vehicle will alleviate this problem. Allowing your car enough time to warm up will eventually loosen the parking brake and make it ready for use. When your car accumulates dirt, debris, and water, this can greatly impact the cables attached to the braking system. Over time, the cables will erode which causes the emergency brakes to malfunction. One way to avoid this is to frequently use your parking brake, even when you are not on a hill. In addition, keep a close eye on how clean the inner-workings of your car are. This will help to avoid build-up of any kind. Sometimes it can be easy to pull on your e-brakes, or other parts of your car with force. This can cause unnecessary damage and can even break necessary pieces. Use force when it’s necessary, but not too much when operating your parking brakes. This can be the difference between a jammed e-brake and a healthy one. Releasing the jammed brake is not a difficult fix. Setting and releasing the brakes will often loosen the unit. If you are feeling adventurous, you can attempt to take a look at the cables yourself. However, many find that leaving this problem to the professionals is the best option. Routine maintenance is the primary way to catch severe problems early. A trusted mechanic or specialist will be able to assess your car’s health and provide maintenance. Keeping your car well-maintained can be the difference between spending thousands of dollars on a new vehicle or preserving the longevity of your car. In addition, pay attention to subtle changes in your car’s health. This will help you to catch the problems early and avoid a large payout for more extensive fixes. serving the wonderful people of Lawndale, Culver City, West Los Angeles, and South Bay, CA for nearly 8 years. Specializing in European parts, we know how to take care of your vehicle the way it should be. We make scheduling appointments easy with our online database and friendly customer service representatives. By giving you clear and concise information, we are able to provide you with dealership quality service at a reasonable price. If you are experiencing issues with your parking brake, don’t waste time; schedule your personal consultation today!